My work challenging racism began far before 9/11 occurred; far before the level of perniciousness against my Muslim community had become so overt and widespread. Although I have always experienced racism and many issues that are real to all people of color, my commitment to addressing racism went far deeper than my own experiences and identity. As a result, I studied the history of racism in the United States, slavery, Jim Crow, genocide and broken treaties, and the social construction of whiteness. I learned about colonialism and its legacy all around the world including deep learning on the legacy of Apartheid in South Africa. I didn’t engage that learning out of self-interest; I engaged it because I knew in my soul that what has happened to people of color all around the world is fundamentally wrong and inhumane and must be addressed. I knew that my life needed to be about engaging these issues and contributing to changing that legacy. However, in 2009, when my colleague Dr. Eddie Moore, Jr., founder of the White Privilege Conference, asked if I could lead a session on Islamophobia, my immediate reaction to his request was to decline. Initially, I was concerned with being pigeon-holed as the ‘Islamophobia guy’ rather than be acknowledged and engaged for my broader expertise on diversity and social justice. Despite my numerous rejections, Dr. Moore insisted that if I didn’t put something together, no one else could effectively address the topic. After months of rejecting his offer, I finally caved and agreed to develop a session on the topic. In putting together the original session, I had no idea what I was going to present because I did not have a tangible sense of the level of understanding people had on the topic. In conversations, Dr. Moore insisted that I should assume that most participants would know very little about the topic and I should start with the basics. As a result, I developed a session with content that was essentially common knowledge in the Muslim community. It was strange facilitating the session because I felt that almost any Muslim I knew could have covered that content and that my professional expertise was not necessarily grounded in this specific subject area. The first session I conducted was comprised of what I perceived as mostly white social justice educators who were significantly engaged in anti-racism work. The attendees seemed totally blown away by the content. People talked about how much they learned and how moved they were by the whole experience of learning what Muslim communities faced. I was shocked by this reaction because I thought I might have insulted their intelligence with basic content. Upon facilitating that first session, lots of things changed for me. I began receiving requests from numerous individuals to lead workshops on Islam and Islamophobia. Despite all the requests and opportunities that emerged in the following years, the whole situation transformed me in far deeper ways than simply my level of visibility in our field. First, it was very hard for me to come to terms with the reality that so many of my colleagues knew little to nothing about the racism Muslims experience. Given that I am part of a Muslim community in the United States that is well aware of the degree of racism we have been subjected to, I made assumptions about the level of exposure that my colleagues had encountered on this issue. My ignorance was due to meeting so many social justice educators who had talked to me over the years about their opposition to right-wing rhetoric that vilified the Muslim community. What I soon came to realize was that much of the rhetoric that I had been exposed to from my colleagues was quite superficial. Furthermore, I began to realize how my colleagues had engaged few Muslims with any significant depth to truly learn about our experiences of racism and profiling that has been so prevalent in our lives since 9/11. Given that social justice educators have dedicated so much of their lives to challenging racism; it disturbed me that many knew so little about Islam and Islamophobia, many years after 9/11. How could they have done so little inquiry into a subject that is so overtly prevalent in our society? If they knew so little, what does that say about the rest of our society, who they are educating? It was disappointing to realize that my colleagues had not done the same inquiry for themselves in regards to Islamophobia that I had done in regards to understanding racism. As I tried to grapple with understanding the lack of engagement of Islamophobia among Social Justice educators, many people suggested it was due to a lack of exposure. My response is that there is no excuse in this age of internet and social media for social justice educators to not do their own inquiry on such a significant issue. As the years have progressed and I have facilitated dozens of sessions on Islamophobia, I have come to a profound realization as to why my colleagues consciously or unconsciously choose not to engage the work on Islamophobia. I realized that it was because it forced them to confront their own biases. Some say it is because it involves religious issues therefore causing discomfort. My response is that one’s fear to engage religion is not an excuse to not learn about this subject. The intersection of race and religion involved in Islamophobia should deepen our commitment to learn and engage with this subject matter, not dismiss it or render it nonexistent/invisible. Despite my original reservations to presenting on Islam and Islamophobia, I have since developed a sense of responsibility to address Islamophobia. To this day, I dislike feeling like a spokesperson for the Muslim community, but I push through and continue to deepen my knowledge and facilitate sessions. The absence in our field to adequately address Islamophobia has developed tenacity in me to be a voice on behalf my community, whether I like it or not. It is a responsibility that I never wanted, but I have come to accept; despite the fact that I know to my core that I never speak for anyone other than myself. Wherever I engage this topic, I always let people know that my expertise extends far beyond Islamophobia and that I have no desire to speak on behalf of over 1.5 billion Muslims as well as Sikhs, Hindus, non-Muslim Arabs, Latinos and various other groups subject to the racist implications of Islamophobia (hate crimes, profiling, discrimination, etc.). However, I have been charged with this responsibility and I have chosen to embrace it out of a sense of responsibility to ensure that our field is adequately addressing Islamophobia and confronting it in the diverse spaces that we impact throughout the United States and beyond. 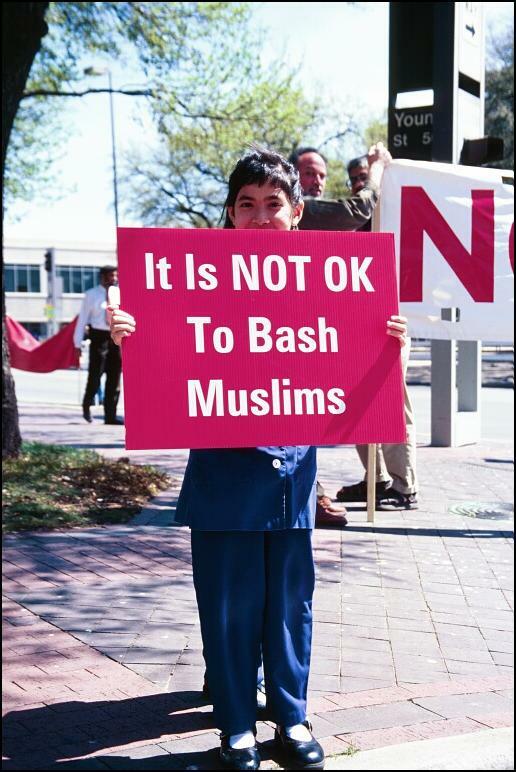 Islamophobia is not new; it is an issue that is rooted in centuries of hate. As a result, it will take extensive inquiry by our courageous colleagues to adequately address the topic. It is our responsibility in this post-9/11 era to address the dehumanization of Muslims and the racist implications of Islamophobia. I hope that you take it as seriously as I have. 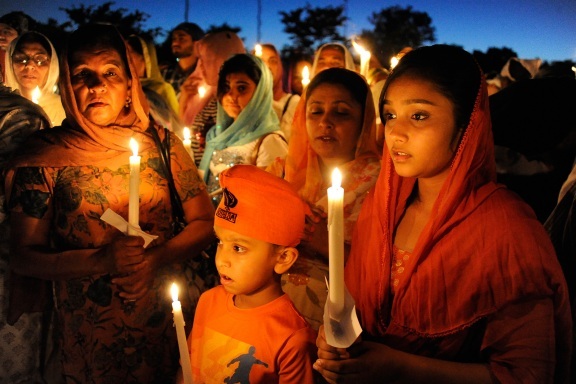 Many people’s lives depend on it (let us not forget the lost lives of those at the Sikh temple in Wisconsin and numerous others); whether we are comfortable with addressing it or not. We must confront our own biases and internal barriers to be effective. I look forward to continuing the journey of working together to learn and grow for the benefit of the constituencies that we collectively are impacting on a daily basis. The views expressed in this blog are those of the contributing authors and do not necessarily reflect the position of ACPA or the Commission for Social Justice Education.